Museum Miniatures complete their pretty samurai range in 15 mm with several sets of Ikko Ikki rebel troops and some peasants. Thanks; it's not actually complete, though, as some ashigaru releases would seem to be scheduled for 2015. I don't see ONE samurai in that lot. "I don't see ONE samurai in that lot." Neither Armand nor Museum Miniatures identified the pictured figures as "Samurai." 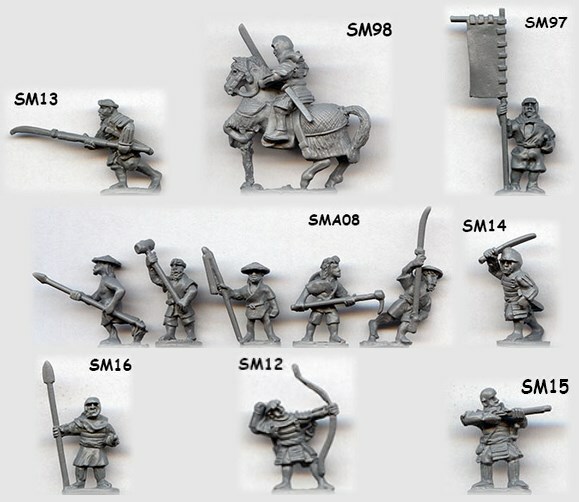 He referred to them as Ikko Ikki and peasants from Museum Miniatures 15mm Samurai figure range. His posting was both correct and useful.